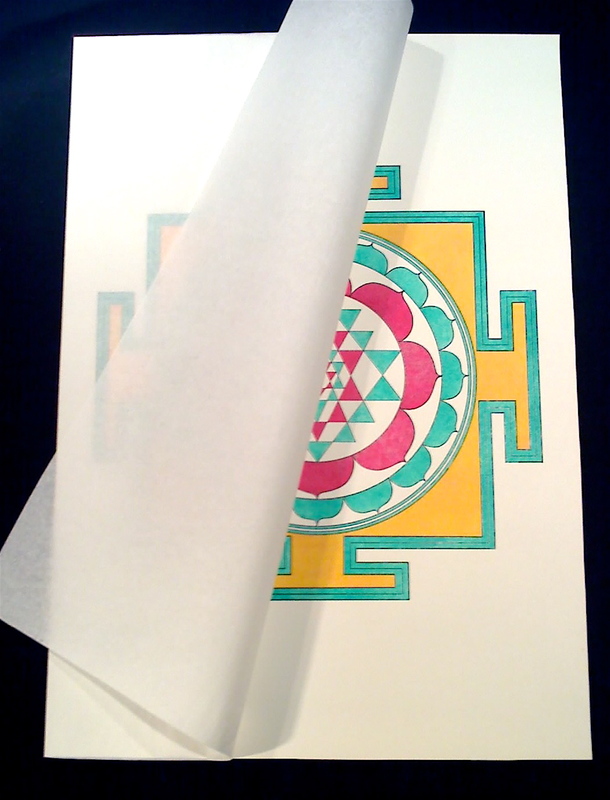 For beginning, let’s google images of Sri Yantra. Instantly we can get five categories: Gold, Correct Colors, 3D, Wallpaper, High Resolution, and Meaning. In general, there are hundreds and hundreds pictures of Sri Yantra: black-and-white schemes, color drawings with pictures of gods, some schemes include words or texts, some authors place a square of defense on the place of mandala, other authors can throw away any part of traditional design, we meet white images on the black surface, a-la-Microsoft colorfulness, and so on, and so on. The most amazing are 3D printing ‘tarts’, the gold jewelry pieces, and the bronze towers. Almost forget to include images on the parts of human body, T-shirts, and cups. Some of the images are pretty, others are ugly, the most of them are simply wrong, and the worst thing is that digital images cannot be better than artifacts of the real life. They all bear the same clumsiness like their mirroring reflections. I have two explanations: (1) people on this planet (researchers included) recently don’t really have access to the mathematical sources of this sacral knowledge, and (2) common people (researchers excluded, right:) want just to get any fun by any price, and they want it here and now. Well, Japanese people don’t look like much interested in Sri Yantra study, so why should we rock the Japanese science boat? Just don’t! The most funniest stuff is when you could probably repeat my googling ‘sri yantra+japan’ you’ll get my foolish blog page in the first lines… but remember, the brightest side you’ve already learnt is what to do: don’t read it, don’t like it, don’t follow, and don’t tell your friends what embarrassment people feel after reading Sri Yantra in Japan rock’n’blog. However, I liked the title: sounds well (like another Haruki Murakami design). 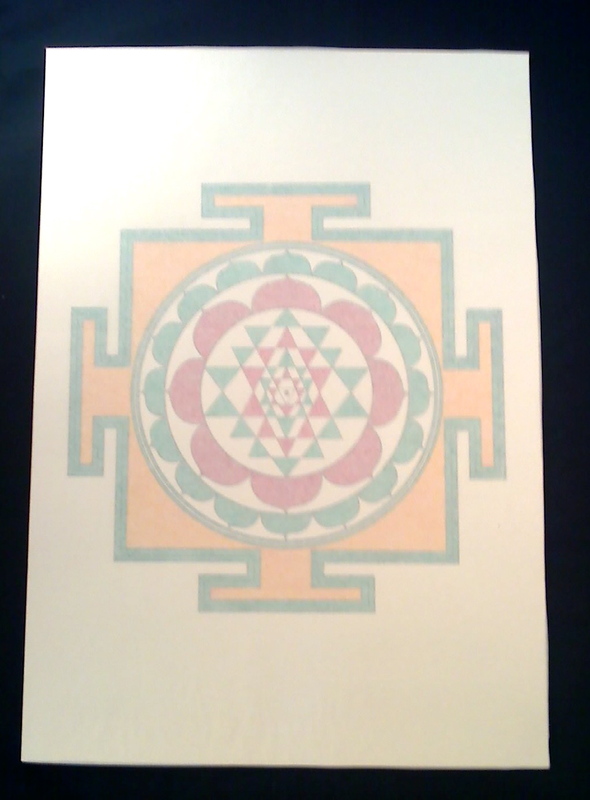 Sri Yantra in China: in trading unite! Do Chinese educated people know Sri Yantra phenomenon? Do they have publications, books, scientists, mathematicians, geometry fans, or just curious people which are interested in the topic? Do Chinese dictionaries have the definitions of Sri Yantra, tantrism, tantric teachings, and historic references to the ancient or Middle Ages texts? How about universities’ staff and students? Is there anything important here to discuss I’ve missed due to my ignorance? I have other questions in great numbers and those pages I have already seen online with keywords ‘sri yantra, china, chinese’ simply don’t look like we, scientists, do science at the turn of the last millennium (sarcasm:). 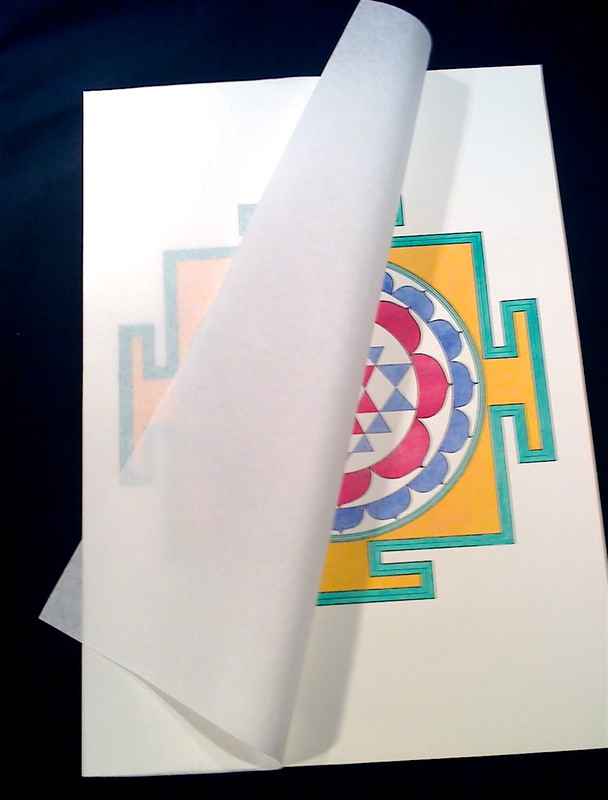 Good news, you could buy a T-shirt bearing the Sri Yantra symbol as well in China as you could do it everywhere on the planet Earth online. 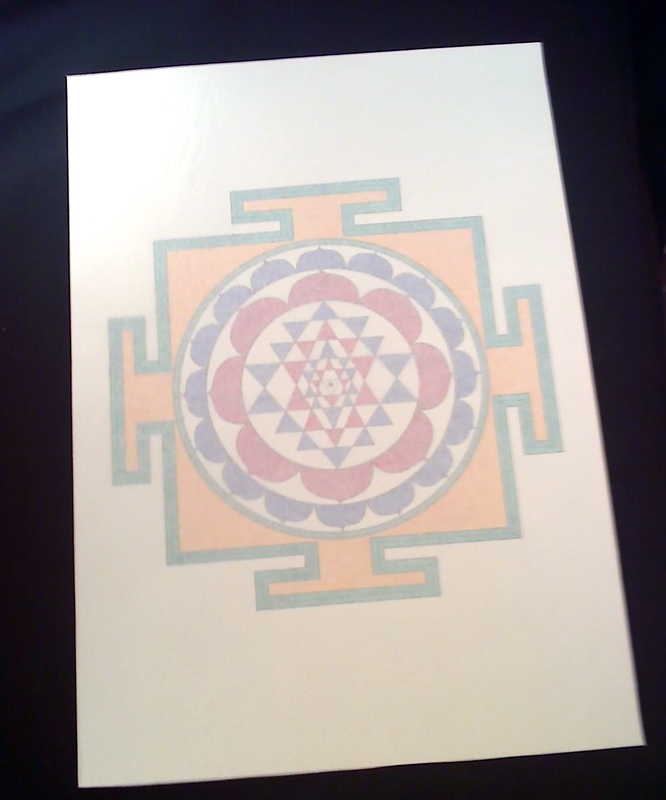 God bless merchandise for Sri Yantra’s sake! 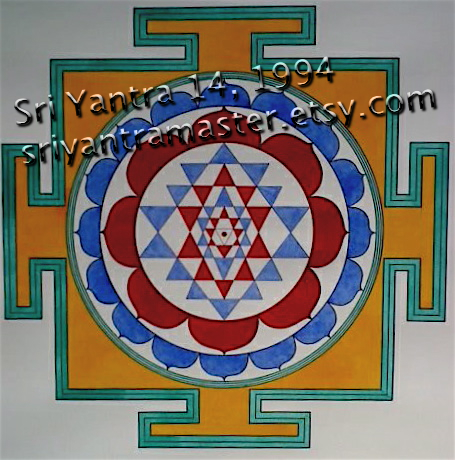 The geometrical drawing can be called Shri yantra, Sri-yantra, Navayony Chakra, Nava-chakra, Sri-Chakra, Shri-chakra, and my favorite name is Sri Yantra (because this is simple). Bhupura (the outer square with four gates), Mekhala (three concentric circles inside Bhupura), and Trailokyamohana chakra (yellow or colorful space between Bhupura and Mekhala) are four terms before we look at rings of lotus. Sarvasaparipuraka chakra ((the outer ring of sixteen lotus petals) and Sarvasankshobhana chakra (the inner ring of eight lotus petals) seem good enough for naming them easy too. 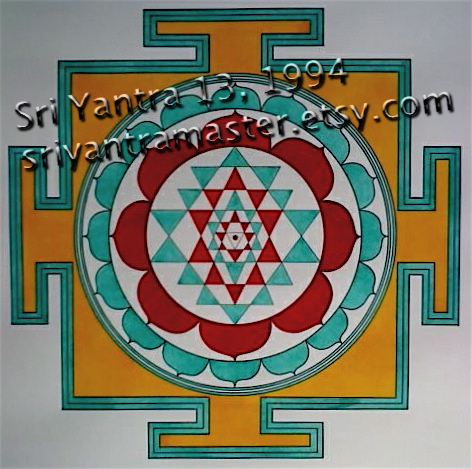 Sarvasaubhagya-dayaka chakra (the first 14-pointed star polygon inside Mekhala), Sarvarthasadhaka chakra (the outer 10-pointed star polygon), Sarvaraksha-kara chakra (the inner 10-pointed star polygon), Sarva-rogahara chakra (the 8-pointed star polygon), Sarvasiddhi-prada chakra (the primary triangle, red or empty), and Sarvananda-maya chakra (the central dot) are other six terms to make the end of the first description. Twelve terms (4+2+6) are good to begin, right? For reference: Sri-Chakra: Its Yantra, Mantra and Tantra by Prof. S.K.Ramachandra Rao (Second Edition, Delhi, 2008 pp.26-49) was used. Frankly, I do it following my aged instinct and not for the goal to harm somebody’s feeling at all.